In 1998, HMD Builders, Inc. was established from humble beginnings inside the home of Mac DeLaittre. 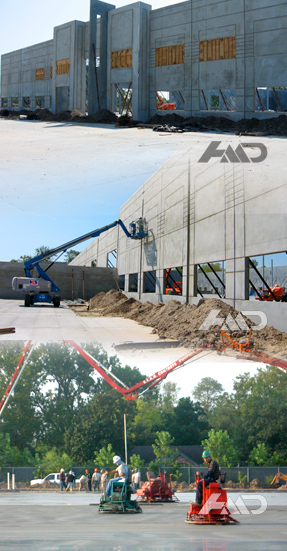 Since then, HMD Builders, Inc. has grown in size, strength and dependability. Mac’s professionalism coupled with approachability allows for a timely completion of each project. Our reputation & the quality of our services have HMD Builders on the fast track to becoming one of Houston’s premier concrete contractors. Mac posses over thirty five years experience in commercial concrete and general construction. HMD Builders, Inc. believes safety matters. We believe it is a process that each employee works to improve on every day. Our professional approach to safety provides a safe work environment for our employees and leads to quality, improved morale, and responsive workers on the job. Our employees are kept informed of all the latest safety requirements through OSHA approved training sessions and regular job site safety meetings. Because each project is equally important to us, we provide the most efficient service possible while maintaining safety standard. For over 14 years, HMD Builders Inc. has established a company-wide policy of setting and maintaining the highest possible safety standards in the commercial concrete industry. This objective not only keeps our employees safe, but ensures our customers that their projects will be completed in an environment focused on excellence in safety. HMD Builders is committed to provide a safe and healthy workplace and job sites where we work every day. We believe that all accidents and on the job injuries are preventable, and our goal is "zero accidents, zero injuries". HMD Builders is dedicated to our adopted safety policies, procedures and programs so that we can strive to protect our employees and our jobsites, no matter what the cost. With our 2010-2011 experience modifier rate being .90 is proof positive that HMD Builders Inc. exceeds and excels in “safety first”. However, our client satisfaction and repeat business is quantifiable validation on a job well and safely done.